She mentioned the importance of girls’ education and spoke about other sustainable development goals, such as Life below Water and the huge amount of plastics found in our oceans. 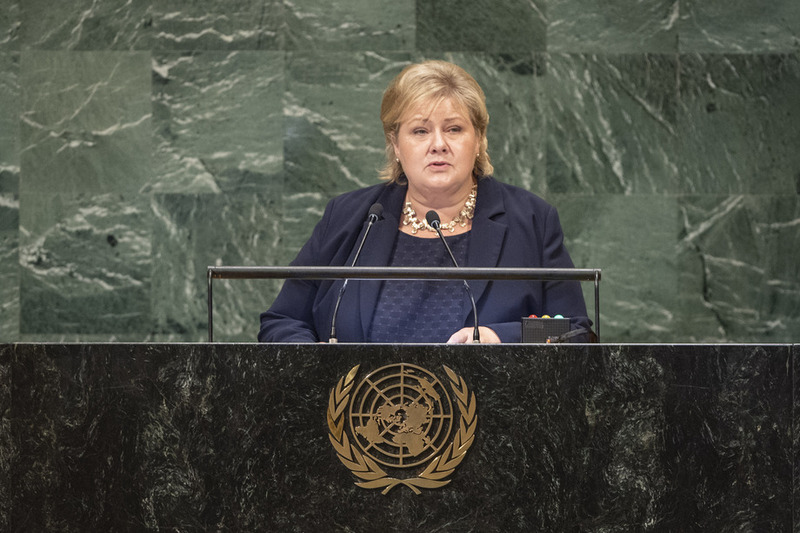 She also spoke about Norway’s candidacy for a seat in the UN Security Council. Write a personal statement to a university/learning institution that tells about yourself- your hopes, ambitions, life experiences and inspirations. You could focus on your background and how this has shaped your dreams and aspirations, or tell about a personal talent or quality, accomplishment, contribution or experience that is important to you. How does this relate to what person you are? Remember to write persuasively. – “Structure your info to reflect the skills and qualities the universities and colleges value most. – Write in an enthusiastic, concise and natural style – nothing too complex. – Try to stand out, but be careful with humour, quotes or anything unusual – just in case the admissions tutor doesn’t have the same sense of humour as you. – Proofread aloud and get your teachers, advisers, and family to check – then redraft until you’re happy with it and the grammar, spelling, and punctuation are correct.